Ryan Preece continues to cash in on betting on himself. The former Whelen Modified Tour champion won the Fitzgerald Glider Kits 300 at Bristol Motor Speedway on Saturday afternoon (April 14). 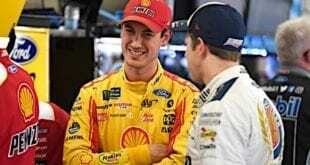 It was Preece’s second victory since joining Joe Gibbs Racing for a part-time schedule last year. Preece also won the NASCAR XFINITY Series’ Dash 4 Cash prize of $100,000 by beating out Daniel Hemric, Cole Custer and Christopher Bell. Preece said that the win will allow for him to pay off his debt to a friend who let him borrow money to race in NXS last season. Brandon Jones lost the race lead to Preece on the final restart when Preece’s four fresh tires proved superior to Jones’ two. Justin Allgaier recovered from multiple incidents to finish runner-up, while Hemric finished in third. Elliott Sadler and Spencer Gallagher rounded out the top five. The old Bristol was back. 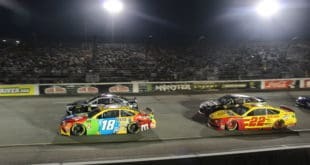 NASCAR applied a bite to the lower groove and the warm day prevented rubber from ever sticking to the upper groove. The race turned out to be a battle to get to the bottom, just like the old days of Bristol and just like your weekly short track racing. The race had it all: passing throughout the field, beating and banging and tempers flaring. 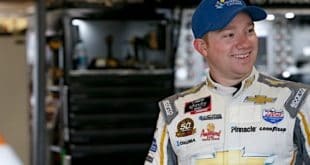 Matt Tifft referred to Allgaier’s driving as too aggressive and stupid after the No. 7 spun him out early in the race. 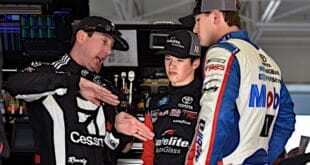 Sadler and John Hunter Nemechek had a quarrel with their cars during a caution period after Sadler didn’t like the way he was raced. 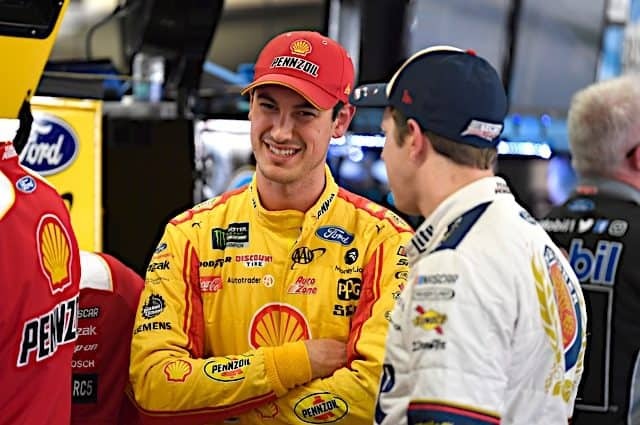 One could argue that the race had too many wrecks, and given that 93 laps of the 300 were under the yellow flag because of the 12 cautions, that is probably a fair assessment. But it was likely the most entertaining NXS race at Bristol in over a decade. 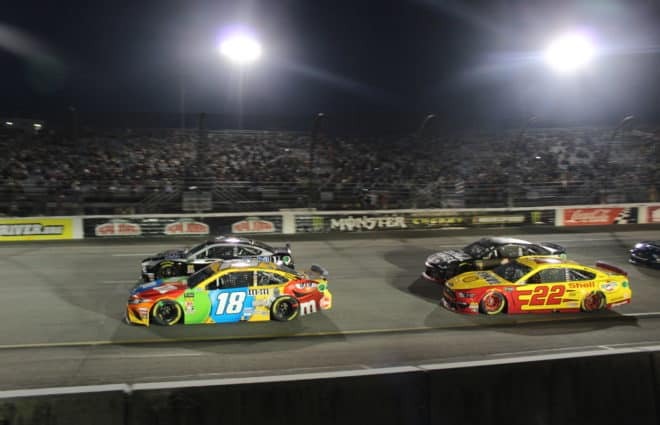 Hemric’s third-place effort initially qualified him for the opportunity to race for $100,000 in next weekend’s Dash 4 Cash at Richmond Raceway, in addition to Allgaier, Sadler and Gallagher. However, the No. 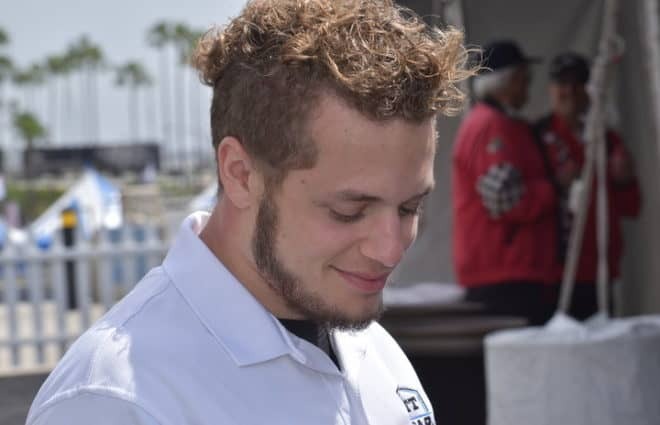 21 Chevrolet failed the postrace inspection for improper mechanical measurements, and NASCAR announced after the race that he is disqualified from next week’s Dash 4 Cash. Jones, who finished the race in sixth, will replace Hemric as one of the four competitors. Expect an announcement this upcoming week regarding monetary and points fines for the team. Christopher Bell came into the afternoon with high hopes, including pocketing $100,000, as he was one of the Dash 4 Cash participants. But his day was almost over before it even started. Bell triggered a multi-car accident after hitting the wall to bring out the first caution of the afternoon. But that was only the beginning of what would turn out to be a day to forget for the reigning Camping World Truck Series champion. Bell’s day ended prematurely while running third when his No. 20 came sliding into the side of Vinnie Miller’s No. 01 in Turns 3 and 4. Bell has four top-five results, but also three finishes of 20th or worse this season. Being in premier equipment, his next win is bound to come sooner rather than later. But the inconsistency, if not improved upon soon, may come back to bite him down the road. Ross Chastain’s season high for top-10 finishes is four, back in 2014. Only seven races into 2018, he’s one race away from tying that mark. The Watermelon Man and driver of the No. 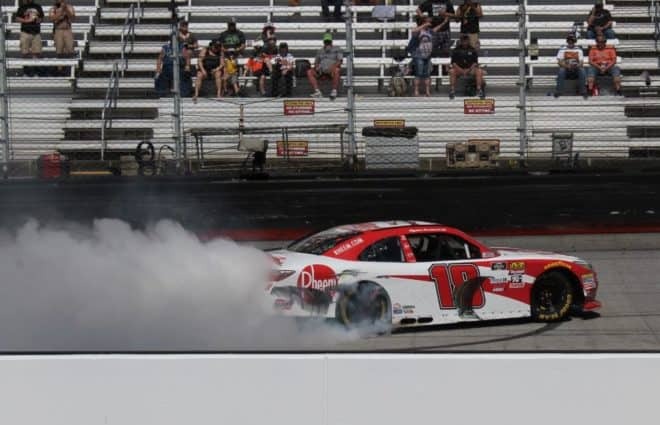 4 for JD Motorsports earned his 10th top 10 in his 113rd XFINITY start on Saturday afternoon, keeping his Chevrolet out of harm’s way when it mattered. There were zero Monster Energy NASCAR Cup Series regulars in the field (I repeat, zero) due to this being a Dash 4 Cash event. Next weekend at Richmond Raceway, we’ll have the same situation, as Cup regulars are permitted from participating in D4C events. 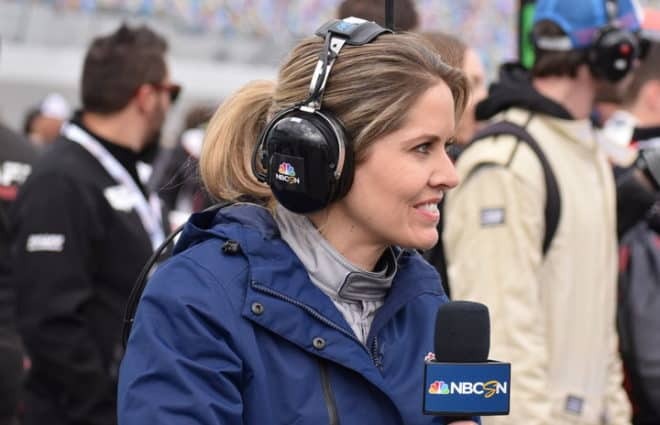 Saturday’s race had the makings of a perfect day for a NASCAR fan. Short track, beautiful weather, no Cup regulars in the field. But it seemed like one thing was lacking: fan support. But there's probably only a couple or few thousand people in the stands. I get it, people have lives. But isn't this what we want? NXS only? The XFINITY Series heads to Richmond Raceway next weekend for the ToyotaCare 250, the second Dash 4 Cash race. Kyle Larson is the defending winner of the event, and Brad Keselowski won there this past fall. But with the new Dash 4 Cash rules, neither driver is allowed to compete, opening the door for a different winner. The race is scheduled for 7 p.m. ET on FOX Sports 1. Michael Massie and Davey Segal contributed to this report. Amazing how much more compelling the Xfinity race is without the Cup drivers! The series regulars actually could compete for the win!